One of the greatest ways you can support The Fold is to pray for our residents and staff. Below is our Prayer Calendar for the month of April. Praise: For God’s faithfulness and steadfast love, which endure forever. 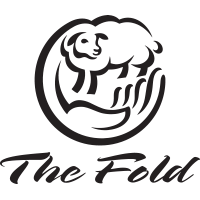 Praise: For the wonderful people who work at The Fold. Prayer: For God to open doors and fill staffing positions needed at The Fold. Pray: That the staff and residents of The Fold would increase in knowledge and love of God. Praise: For God’s faithfulness. Prayer: For health, leadership, wisdom, discernment, and the right focus. Pray: That God would provide the staff He has prepared to serve in The Fold’s ministry. Praise: That my home visit went well. For time with my family. Prayer: For my heart to be open and my walk with Christ to be deeper. Praise: That God continues to provide for us during transition. Praise: For God’s faithfulness. Prayer: For wisdom. Praise: That I have been learning my way around The Fold. Prayer: That I would learn the job quickly with the right tools to get my work done. Praise: For the work God is doing in my daughter’s heart and that her walk with the Lord is growing stronger. Prayer: For continued patience. Praise: For God’s faithfulness and care, and for a husband who demonstrates those qualities. Prayer: That God would help me see the world and people from His perspective. Good Friday Praise: For Jesus, the Lamb of God, who sacrificed himself for us. Praise: For my family and for the love of my mother. Prayer: That God will bless my home visit and my return back. Easter Praise: For the gifts of God’s salvation, grace, and life in the death and resurrection of our Lord Jesus! Pray: That people around the world would understand and receive salvation in Jesus. Praise: For God’s incredible persistence and love! Prayer: For my daughter’s process of choosing a college (Spring Break trip). Praise: For God’s constant presence. Prayer: That I would continue to grow in hearing God’s leading. Praise the Lord for sharing His heart with us in desiring to reach teens for Christ. Prayer: For wisdom to reach many more. Praise: For how awesome God is, and for a new office. Prayer: For the start of a new stretch. Praise: That the snow plow is working well this year. Prayer: For work teams and for repairing grounds this spring. Pray: That God would be glorified in His bride, the church. Praise: Thank God for another home visit. Prayer: For God to let me have a blessed new stretch. Praise: For God’s provision of faithful prayer partners who minister from around the country. Praise: For God’s tender blessings to us. Prayer: For God’s protection and that He would satisfy us with His glory and goodness. Praise: For God’s perfect timing and faithfulness. Prayer: For Girls’ Home staff and for focus on God’s provision and faithfulness. Pray: That we would abide in Christ and depend on Him for all we need.